The Trust Board has overall responsibility for the running of the hospitals. They are accountable to our regulators such as Monitor and the Care Quality Commission. The Trust Board is made up of ten Executive Directors and five Non-Executive Directors (including the Trust Chairman) who oversee all keys areas of the Trust's work and set the strategic direction of the hospitals. Non-Executive Directors are local people who are appointed to work with the trust on a part time basis. Their role is to scrutinise the performance of management within the trust and provide independent views on the work it does - making sure that it is working in the interests of local people. Some of our executive directors are appointed because they have specific experience that is useful to the trust - a finance or medical background for example. 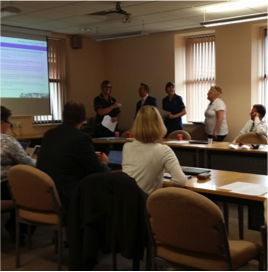 The Trust Board is accountable for setting the strategic direction of the Trust, monitoring performance against local and nationally set objectives, ensuring high standards of performance and promoting links between the hospitals and the local community. The Trust Board holds a bi-monthly public meeting at which members discuss key issues affecting the Trust such as its performance, finances and where they make decisions about service development and operational strategy. Votes are taken on key decisions. You can access minutes and agendas of our meetings here. Executive Directors are required to comply with the Trust's Standards of Business Conduct and to declare interests that are relevant and material to the Board. All Directors should declare such interests on appointment and on any subsequent occasion that a conflict a rises. Details of the register of interests are reviewed annually. To request a copy of the latest register of interests for the Board of Directors please contact WHH.foundation@nhs.net . All Non-Executive Directors, including the Chair are able to attend any of the Board Committee meetings outside of those identified above. All Non-Executive Directors are members of the Audit Committee and Charitable Funds Committee with exception of the Chair. All Non-Executive Directors attend all meetings of the Council of Governors. Steve McGuirk joined us as chairman in April 2015. Steve, who lives in Warrington, is also currently County Fire Officer and Chief Executive of Greater Manchester Fire and Rescue Service. Steve joined the fire service in 1976. He was previously County Fire Officer and Chief Executive for Cheshire Fire and Rescue Service before taking on the post in Greater Manchester in 2009. He has also been a Board Member and president of the Chief Fire Officers Association and has been the principal adviser on fire and rescue matters to the Local Government Association. He was awarded the long service and good conduct medal in 1996, the Queen’s Fire Service Medal in 2002, and the CBE in 2005. He has also gained extensive experience in governance of public authorities. Steve was appointed as Chairman following an extensive recruitment process that involved the hospitals’ elected Public and Staff Governors on the selection panel. Terry Atherton joined the trust board as a Non-Executive Director in July 2014. Terry worked for NatWest Bank for 35 years leading large teams and profit centres across the North West and North Wales. For the last 14 years he has worked with the both the public and private sector in a number of Board positions in a non-executive capacity. Terry was appointed Chair of Trafford Primary Care Trust in 2009 and following the national NHS reorganisations, he became vice-chair of the cluster of ten Greater Manchester PCTs with specific responsibilities for oversight of the workforce of 2,700 and of service redesign initiatives. He was appointed in January 2013 as Independent Chair of the Morecambe Bay “Better Care Together” Programme before joining the trust. Terry lives in Cheshire. Ian Jones joined the Trust Board as a Non-Executive Director in July 2014. After a career of over 35 years in the banking sector as Regional Corporate Director for RBS, Ian changed direction in 2003 to take on wider interests and put something back. He is a non-executive director of several charities in the education sector. Ian served as Vice Chair and Treasurer of the Liverpool School of Tropical Medicine for 12 years until the end of his term of tenure at the end of 2016. Ian was also the chair of The Liverpool Institute for Performing Arts. Ian has lived in Warrington for over 20 years. Anita Wainwright joined the Trust Board in 2015 as a Non-Executive Director. Anita is a very experienced human resources and organisational development professional who has worked in both the public and private sector in the North West for over 35 years. She has worked in the nuclear and gas industries, financial services, the fire service and the Environment Agency before joining the NHS. She was appointed as Director of HR and OD at University Hospital South Manchester in 2012 and in 2014 was seconded to Tameside Hospital to support their improvement programme. Although Anita has had experience of operating at executive level, this is her first Non-Executive appointment. Anita has lived in Warrington for over 25 years and both her sons were born in the Warrington Hospital. Margaret qualified from Liverpool Medical School and completed her training as a Child and Adolescent Psychiatrist in Manchester. She practiced as a Consultant Child and Adolescent Psychiatrist in Halton for 22years, before retiring from clinical practice. She has always had a strong interest in Medical Education and continued to work as an Associate Postgraduate Dean for Mersey Deanery and subsequently HENW, following her retirement. She has an interest in leadership and mentoring and is an Associate Tutor at Edge Hill University. Margaret has lived in Lymm for over 30 years and her three sons attended Lymm High School. She has strong links to the local community, both through her personal and work commitments. Professor Ezingeard is Deputy Vice-Chancellor of Manchester Metropolitan University where he supports the Vice-Chancellor in ensuring the successful strategic functioning of the University. He has overall responsibility for the size and shape of all undergraduate and postgraduate taught programmes across the University and for the general development of an academic portfolio that appropriately reflects the needs of employers and the local economy.He is an Engineering Science graduate from Ecole Centrale de Lille - an Engineering Grande Ecole. He later obtained an MSc in Advanced Manufacturing Systems and his PhD from Brunel University. Before joining Manchester Met he was Executive Dean of Kingston Business School in London where he oversaw a £30m transformation of the School’s buildings, a significant growth in research activity and enhancements to teaching and the curriculum. As Executive Dean he continued to teach on the MBA programme and to supervise doctoral students.His early career was as a lecturer at Brunel University and Course Director for the Special Engineering Programme. He was then appointed as a member of Faculty at Henley Business School where later served as Professor of Processes and Systems Management and Academic Dean (Associate Dean for Faculty). He researches in the area of technology management, applied to Information Systems, Information Assurance and Security, and Logistics Information Management. Melany was appointed as Chief Executive of the trust in February 2011. Mel qualified as a Registered General Nurse in 1990. After a number of clinical roles, She worked in management before moving back into a professional nursing leadership role. In 1998 Mel became the Deputy Director of Nursing at Doncaster and Bassetlaw Hospitals NHS Trust and was appointed Director of Nursing and Quality at Rotherham General Hospitals NHS Trust in 2001. Mel then moved to Wrightington, Wigan and Leigh NHS Trust in 2003 to take up the post of Director of Nursing and Governance, a role in which she later became Director of Operations and Deputy Chief Executive. 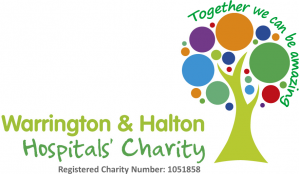 Mel was Chief Executive of The Walton Centre NHS Foundation Trust from January 2007 prior to her appointment with Warrington and Halton Hospitals. Simon Constable joined the Trust as Medical Director in February 2015. He is a Consultant Physician and Honorary Senior Lecturer in Clinical Pharmacology at the University of Liverpool. He studied medicine at Guy’s and St Thomas’ Hospitals in London. Undertaking postgraduate training in London, the Midlands and New Zealand, he was appointed as Lecturer in Clinical Pharmacology & Therapeutics at the University of Liverpool before becoming the Medical director of a Clinical Research Unit in Manchester undertaking early-phase clinical trials on behalf of the international pharmaceutical and biotechnology industries. Simon returned to the NHS full-time in 2010 as a Consultant Physician in Acute Medicine at the Royal Liverpool and Broadgreen University Hospitals NHS Trust where he became Clinical Director and then Divisional Medical Director. Prior to taking up the post at Warrington and Halton, Simon has worked with the NHS Leadership Academy, Harvard University and the Institute for Healthcare Improvement on clinical leadership, employee engagement and transformational change within the NHS. Andrea joined the Trust in February 2016 from Calderstones Partnership NHS FT where she had been seconded by Merseycare NHS Foundation Trust as Director of Finance and Information. She is a qualified accountant (ACCA) and has worked for the NHS for over 20 years. During this time Andrea has gained experience working within acute, mental health, learning disability, community and ambulance services and has led finance, estates and information teams. Andrea is a strong supporter of staff development and has received personal and team awards for finance staff development in the North West and nationally. Andrea lives in Warrington with her husband Kevin, daughter Ruby and Bruce their dog and enjoys going for walks in the Lake District with her family. Kimberley was appointed as Chief Nurse in 2017 and is the professional lead and is accountable for Nursing, Midwifery and Allied Health Professionals on the Board of Directors. The Chief Nurse is also the Director of Infection Prevention and Control and the Executive lead for safeguarding. Kimberley has over 25 years’ experience as a nurse and has held a number of senior nursing leadership post and general management posts in Manchester, including working as an Advanced Nurse Practitoner before coming to Warrington & Halton Hospitals. Chris joined us in March 2018 from Salford Royal where he was Managing Director of Salford Health and Social Care. Prior to that Chris was at the University Hospital of South Manchester as Manager for the Women & Children’s Division. He commenced his NHS career in 2002 undertaking a range of administrative posts locally within what was Salford Primary Care Trust. Subsequently, Chris developed his managerial career and gained experiences working throughout the region at both Central Manchester University Hospitals and The Christie. He has managed a variety of clinical services including, Renal Medicine, Heart Care, Acute Medicine, Young Oncology, Haematology, Breast, Obstetrics & Gynaecology and Paediatrics. We’re sure you’ll all get to meet Chris soon as he gets up to speed. Michelle was appointed Director of HR&OD from November 2017 after occupying the interim position since March 2017. Prior to joining the trust she was Associate Director of Workforce at Pennine Lancashire Transformation Programme and Senior Responsible Officer for Workforce, Organisational Development and Leadership working across organisational boundaries within East Lancashire & Blackburn with Darwen, including both Clinical Commissioning Groups, two Local Authorities, one Acute Hospital and one Mental Health Trust. Michelle has worked in the NHS since 1984 initially joining the nursing profession and through this developed a passion for developing staff so they could deliver excellent care to patients and service users. In 1997 she moved into Human Resources & Organisational Development and has gained extensive knowledge and experience in the management of HR services, employee engagement, staff wellbeing, and multi-professional education. Michelle is committed to supporting staff to put our patients at the heart of all we do and to enable them to recognise the Trust as a great place to work and receive care. Pat joined the Trust in December 2015 as Director of Community Engagement, a new position dedicated to expanding and supporting our relationships with the communities and people who use, work, visit, volunteer, support, commission, partner or donate to our hospitals in Warrington and Halton. Commencing her NHS career as a Biomedical Scientist, Pat moved into communications, marketing and engagement in the healthcare and health sciences sectors over two decades ago. She has lived and worked in healthcare across the UK, USA, Middle East, India, Pakistan and Australia with all types of organisations from private sector global brands to public sector organisations. She joined us from Barnsley Hospital where she was Interim Director of Communications, Marketing and Fundraising and earlier from Alder Hey Children’s Hospital where as Communications Lead she led the formal public consultation for the new Hospital in the Park. Lucy joined the Trust in February 2016 from her role as a Director in Ernst & Young (EY)’s healthcare advisory practice. Lucy started her career 12 years ago as an NHS General Management Trainee, gaining a Masters degree in health and social care leadership and management. In the 12 years she has held a number of operational management roles within the NHS and subsequently, in her role at EY, led large scale change programmes to deliver significant financial, quality and performance benefits within healthcare. Highlights include; leading the introduction of the support time recovery worker role into mental health services; leading a £3.6m project to instal the first intra-operative scanner in a paediatric setting in the UK and Europe; leading the transfer of paediatric services from an acute to a community setting; directing a project for disadvantaged pregnant teenagers in Peru; developing and delivering programmes to achieve £45m savings across a range of healthcare organisations; and leading the support to the merger of two large acute Trusts. Lucy is passionate about improving health services locally and delivering truly sustainable health and social care services for the future. She is committed to developing others and leading change, recently nominated as a game changer through EY’s International Women’s Day awards. Dr Alex Crowe is a consultant nephrologist who was appointed as Deputy Medical Director for WHH in December 2016 and Medical Director in October 2017. Alex is also the Trust’s Clinical Chief Information Officerand current medical appraiser for NHSEnglandand supports theRoyal College of Physicians for a number of courses such as Physicians as Educators, Mentoring, Appraisal and Revalidation and Leadership. He joined the Trust in 2016 from Arrowe Park Hospital and Countess of Chester Hospitals where he was Consultant Nephrologist. He was also the renal Lead for Cheshire and Merseyside networks. He has also worked as a Secondary Care Doctor in Manchester, involved in promoting Healthcare Devolution in Manchester. Hetrained at St Thomas’ Hospital, London. Phill joined us in 2018 as Chief Information Officer – a shared post between WHH and the accountable care systems of Warrington Together and One Halton. Phill has over two decades of experience in IT engineering roles within both public and private sectors across health, manufacturing, systems and support services. During this time he worked with Salford Royal NHS Foundation Trust, the North West Ambulance Service, Lancashire Ambulance Service, Datel Technology, Amey Datel and British Aerospace Military Aircraft Division. His most recent post was with Pennine Acute Hospitals NHS Trust where he was employed by Salford Royal NHSFT within the Northern Care Alliance NHS Group and his areas of expertise include transformational change through a range of technical architectures, aligning technology to business requirements and programme management. Phill’s role across the partnership is to develop and deliver the Information Management and Technology Digital strategy. He will direct digital transformational change through collaboration within the local health and social care economies in commissioning and delivering safe, effective and affordable patient care through technology.